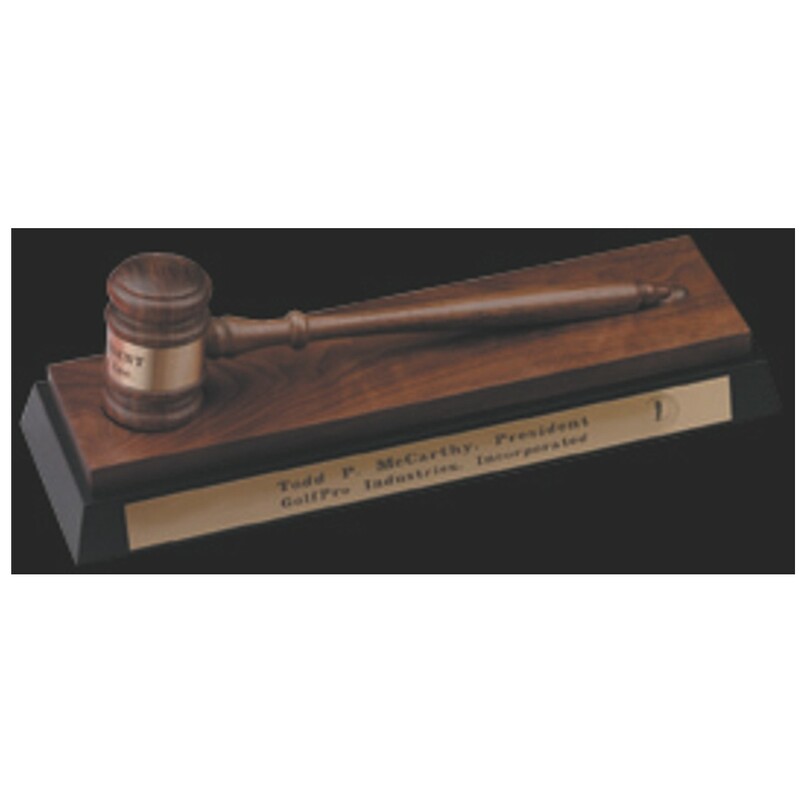 Give a personalized award to honor your dedicated achievers with the Solid Walnut Gavel and Block Gift! This large gavel is crafted from solid walnut and features a brass band to display your free engraving! Resting on a walnut and ebony block, this gift is sure to impress! Measures approximately 13 inches in length and 4 inches wide.